Did you get a chance to check out our gift wrapping ideas in Merry Magazine? Gift wrapping is one of my all-time favourite things to do. Seriously. Even when I was in high school, my friends would have me over so I could wrap their gifts for them and I loved every minute. There’s like a bazillion gift wrapping ideas out there but I guarantee that this one is totally unique. 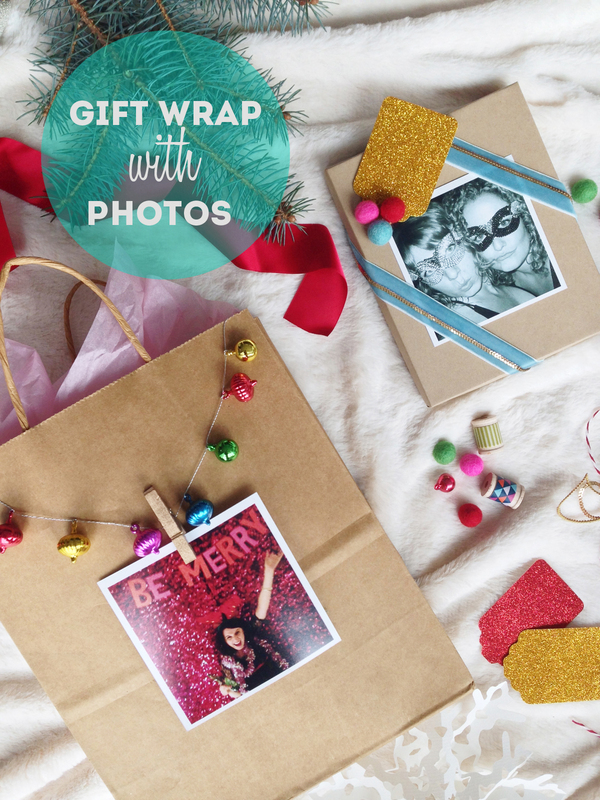 No one will have the same gift wrap as you under the tree (how embarrassing!) 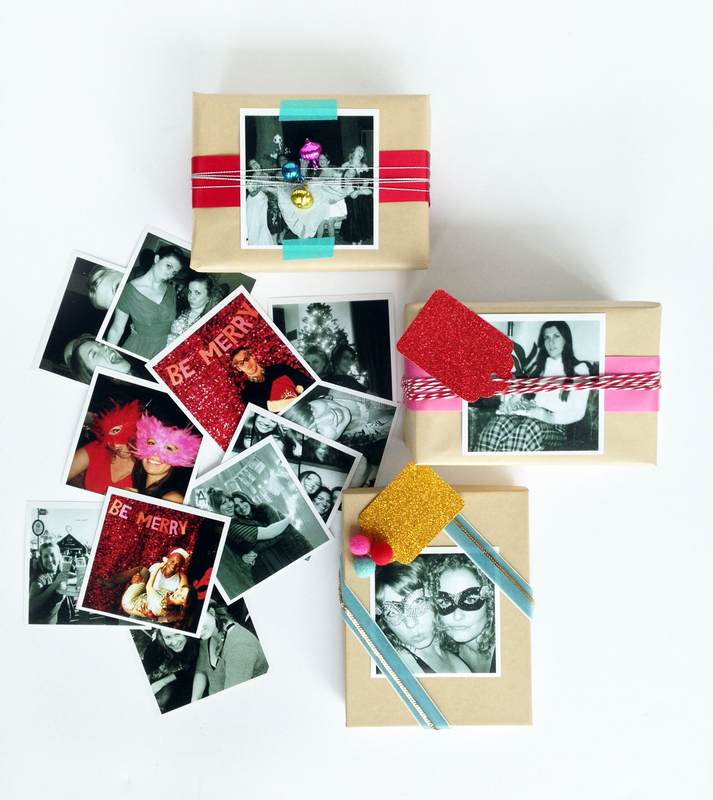 because each gift is personalized with a photo. It’s like one of those really simple ideas that makes you say “duh, why didn’t I think of that?!”. Instead of or along with using a gift tag, why not use a photo of your loved one or with you both together to make it even more special. First dig through your Instagram feed and #tbt archives from the past year, pick your favourites, and get them printed at BLACKS. You can print and order directly from Instagram using the BLACKS free photo app or your computer…hello easy! I think 4″x4″ square with a border works really well. It’s like a 2 for 1 gift! Check out the BLACKS website for my post full of photo gift decorating ideas including some more memorable photos of mine. I love them all but the #tbt ones are my favourite. If you want to keep with the photo theme, why not also give a great photo gift? BLACKS has lots of great options to help you turn your photos into something stylish, artistic, practical or just fun. Here’s some of my top picks. Don’t forget to get your orders placed in time for the holidays! Super web… really nice ideas!